Hoping you guys have recovered from my Polka dots galore, this time I am back with a refreshing at the same time a heavy dose of stripes. 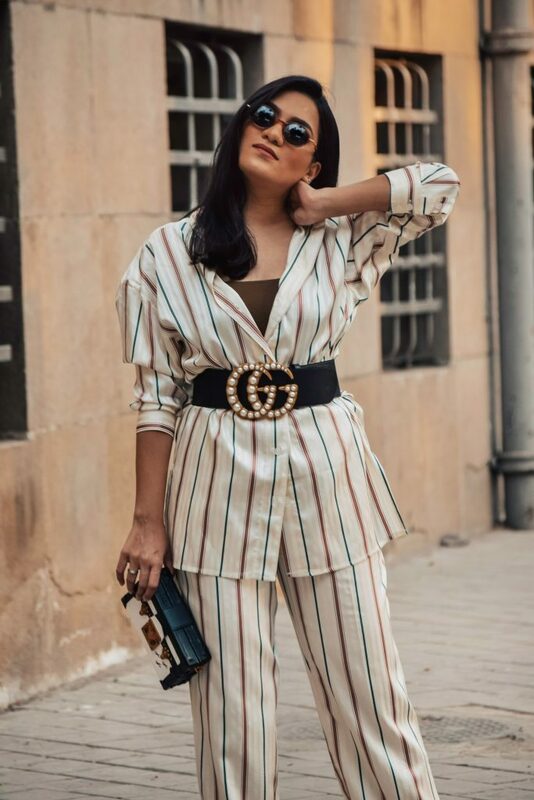 Stripes are always a rage during summers and in this post I have clubbed this staple with another hot trend of the season, Co-Ords. 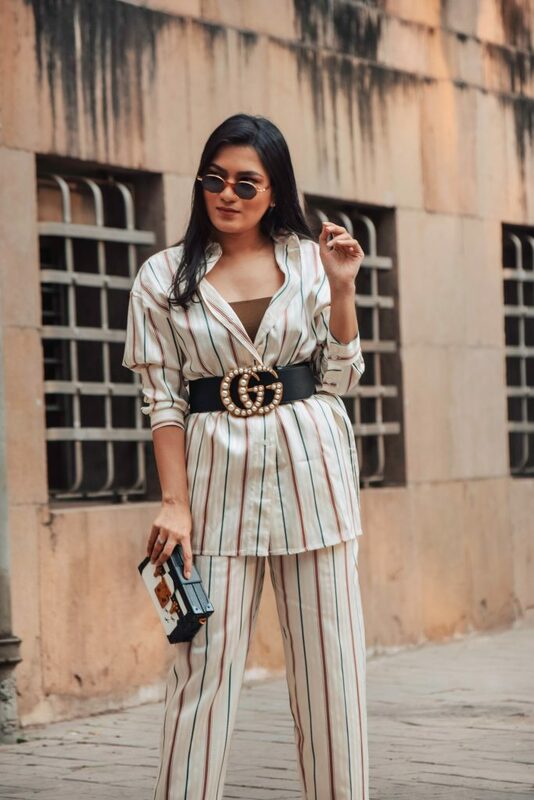 More flexible than jumpsuits, co-ord sets require very less effort than putting together separates and not to mention can be paired with other pieces to create more looks. 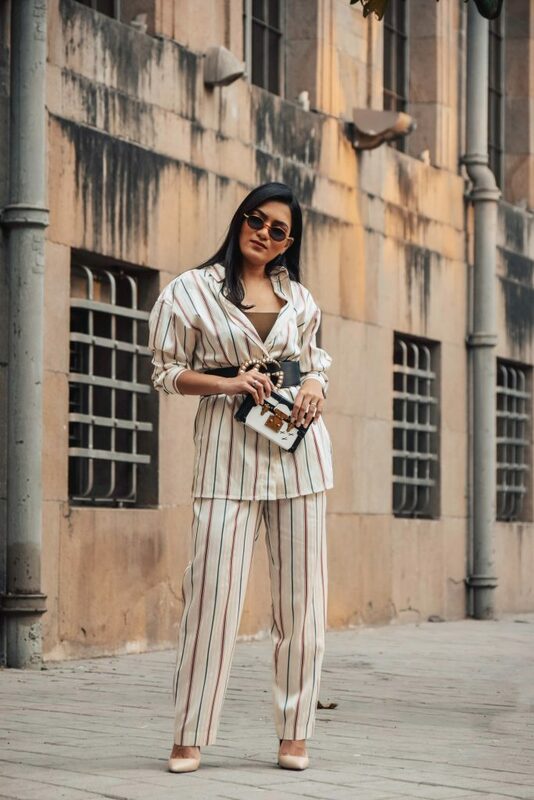 For this look I picked a striped shirt and trousers set. 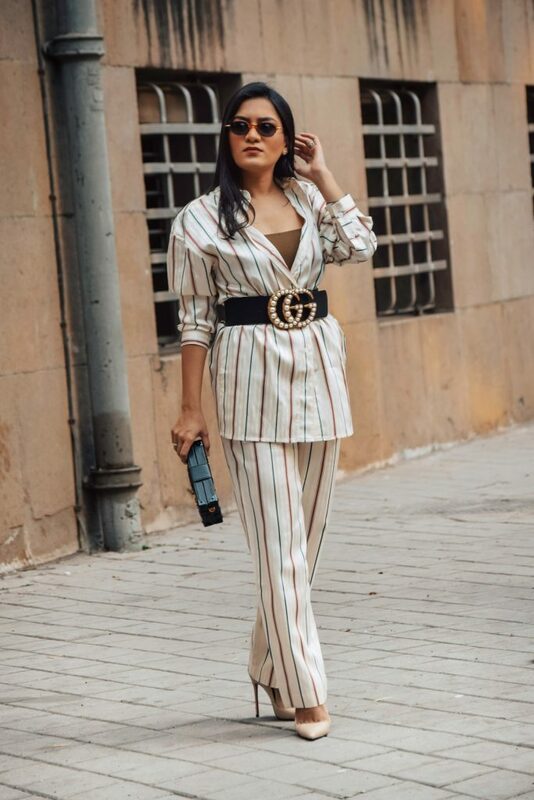 To counter the boxy silhouette of the shirt I added a statement belt clinching the waist which instantly updated the silhouette. Keep the accessories neutral I completed the look with my LV petite malle and CL heels.